The second FedEx Cup event of the series gets underway on Friday as the top 100 in the FedEx Cup standings tee it up in Boston. 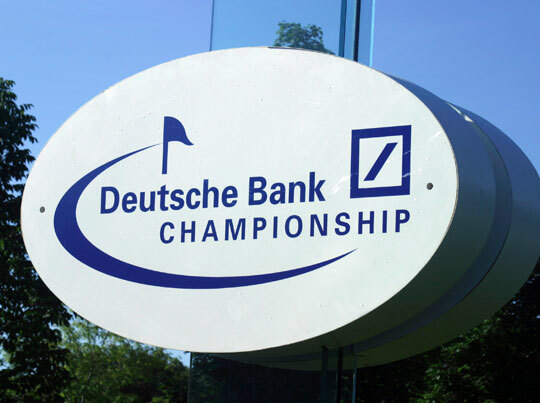 The field is a stellar one as the likes of Jordan Spieth, Rory McIlroy and Jason Day all take part, unsurprisingly these three are amongst the favourites to win the Deutsche Bank Championship. At the end of this event, the top 70 players in the FedEx standings will progress to the BMW Championship, and therefore 30 players who play this week will miss out on the remaining events. Located in Boston, Massachusetts TPC Boston hosts this year’s event as it has done for numerous years. As you can see from the past winners and winning scores, birdies are essential this week with the winning score likely to be around the 20 under par mark, therefore the birdie average statistic is one to look at. The course is a par 71 that measures 7,214 yards which isn’t particularly long, but both short and long hitters can win around this venue. Finally, the best putters tend to go well around TPC Boston, over the past five years only very few players have finished inside the top five and had a poor week with the short stick. Justin Rose – Justin Rose is a player I rate very highly and his form is incredible. He’s made his last seven cuts and has recorded five top 10’s in this period of time, including a 6th place finish in the Open Championship and a 4th place finish in the PGA Championship. Last week Rose played in the Barclays and despite shooting an opening round of 77 he still managed to record a top 20 finish and he shot a third round of 63, this indicating his games in good shape. Admittedly, Rose hasn’t performed well around TPC Boston in recent years but he has tied for 3rd and 4th a while back, therefore I’m confident he can go low this week. Robert Streb – After recording his first PGA Tour victory towards the end of last year, Robert Streb has proved what a top class player he is. He’s made his last eleven cuts and is currently ranked 9th in the FedEx Cup standings. The American finished 18th in the Open Championship, 5th in the WGC Bridgestone Invitational and he followed this up with a tie for 10th in the PGA Championship, all in world class fields. Streb has only played at this venue on one occasion, and he finished in 9th position, this indicating it is a course he can win around. Steven Bowditch – Two time PGA Tour winner Steven Bowditch is having the season of his life, he’s clearly playing some excellent golf. He won his second PGA Tour title earlier this year and good performances in big events suggest he’s ready to record to win in a strong field. Bowditch finished in 13th position last week, which indicates he’s playing well and a better week with the putter could see the Aussie lifting the trophy on Monday evening.